The Astro A50 has long been the gaming headset of choice for anyone who could justify the cost, including you. While the old Astro A50 and A40 will probably stick around, Astro is creating new variants specifically tuned for the Playstation 4 and Xbox One. The A50 Astro Edition may be referred to as "A50 PS4" at retailers, but it works with the PS4, Xbox One, Xbox 360, PS3, PC, or a mobile platform, and sports blue accents. While this headset takes cues from and is tuned for the PS4, this is really the new standard A50. 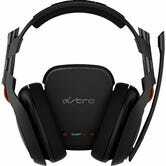 There is also an A40 version of the Astro Edition, which is wired instead of wireless, which also comes in white. The Xbox One Edition replaces the blue accents with green, and is specifically designed for the Xbox One. While the Astro Edition can be used with an Xbox One if you've got the Stereo Headset Adapter, the Xbox One Edition of the A50 comes with its own Astro version of that accessory. The White Version of the A50 Xbox One Edition is exclusive to Best Buy. And here's the Halo version of the Xbox One Edition. 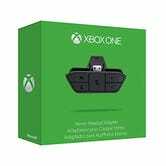 There is also an A40 version of the Xbox One Edition, which is wired instead of wireless, and only $200. Finally there's the PC Edition of the new A40 line, which starts at just $150 and isn't bundled with any kind of amp. 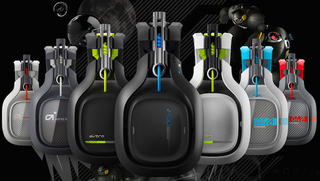 What do you think of the new Astro lineup?